Champions always gives wide range of clothing items in variation of patterns, shapes and sizes with logo of company. Womens Shorts are suitable piece of clothing especially for summer activities even of all age groups. In oldest days shorts were only well thought out for summer wear, but at the moment are used on all seasonal activities of the year. Along with womens, it’s a source of confusion for choosing the ideal shorts because women are generally more conscious about looks than men. So Gotapparel has resolved this confusion and offers Champion Ladies Active Mesh Shorts which is one of the most stylish to improve your look but also a very much comfortable as well its contain 100% polyester mesh shorts; 4.5 inseam, logo elastic inside waist with drawstring; liner; c logo at left hem; tagless. Bella women’s shorts are available in five different sizes from “S to 2XL” for your best fitting in your favorite colors. Anvil Heavyweight Gym Shorts Makes you Cool in Hottest Summer Season!! People waste all winter at the gym just so that when summer rolls around on them they can’t work so hard to look gorgeous because of hottest temperature of summer. Where the climate heats up, shorts are an essential in order to be comfortable and active during the hot of summer heat. Anvil heavyweight gym shorts help to maintain the temperature & make you cool as winter this shorts gym short especially design for those who wanted to do some extra activates in this hottest summer season. Anvil heavyweight gym shorts contain 100% preshrunk extra heavyweight cotton (Heather Grey is 90% cotton, 10% polyester), 7.1 oz. 7-1/2″ inseam; 4-needle stitch covered elastic waistband with inside drawstring; double-needle stitching on leg hem; two topstitched side entry. It is available in five different sizes “S to 2XL” for your perfect fitting in a wholesale price only on at gotapparel.com. In summer it doesn’t mean you have to sacrifice your fashion sense. Be fast and get the gym shorts in wholesale price at gotapprel.com for Staying cool and get some color on your legs by rocking this awesome short style! Womens French Terry Short is a fashion inclination that gives the impressions to have some amount of status. It’s called amusing and flirty fashion, looks pretty crazy and funky but still attractive and stylish piece of clothing that almost every womens needs in their wardrobe. Terry shorts give an ideal appearance on teens and young women, above all those with good legs and a well formed figure. Effective shorts are wearing like an art, there’s a satisfaction in upward and improving it. Once wearing French terry shorts, combining them with identical stockings in semi-opaque styles gives you an additional professional look, multi shade colors and patterned rinse draw too much attention to the legs. Try some collection of French terry shorts for womens at Gotapparel.com, available in variety of colors and sizes at discount prices. Get Bella Women’s Shorts for Coolest Eye-Catching Looking! Shorts are becoming popular clothing for ladies of all ages. One time ladies shorts were considered only summer wear, but now are often worn on all season of the year. Among women mostly its cause of confusion for selecting the right shorts because women are usually more conscious about looks than men. So gotapparel has resolved this confusion because gotapparel offers Bella women’s cotton/spandex fitness shorts which is one of the most not only stylish to improve your look but also a very much comfortable as well its contain 95% cotton, 5% spandex & lightweight it’s a friendly skin shorts. Its sporty side vents, two-piece elastic waistband to help flatter the waist. Bella women’s shorts are available in five different sizes from “S to 2XL” for your best fitting in your favorite colors. So let’s get soft Bella women’s shorts on wholesale price for coolest stunning look in this hottest summer season!! Badger men BT5 tech trainer short is best winning performance for any field. Its contain 100% polyester 6-oz. Moisture-management/antimicrobial performance fabric 100% polyester waffle-weave inseam and leg side vents 9″ inseam 2 deep side pockets welted button back pocket covered elastic waistband and draw-cord Double-needle hem Left-hip embroidered logo Sizes: XS-6XL. It’s available in eight different sizes from “S to 5XL” so that you could find the best fit short in very reasonable prices. So checkout now and get this high quality badger shorts as low as $16.24!! 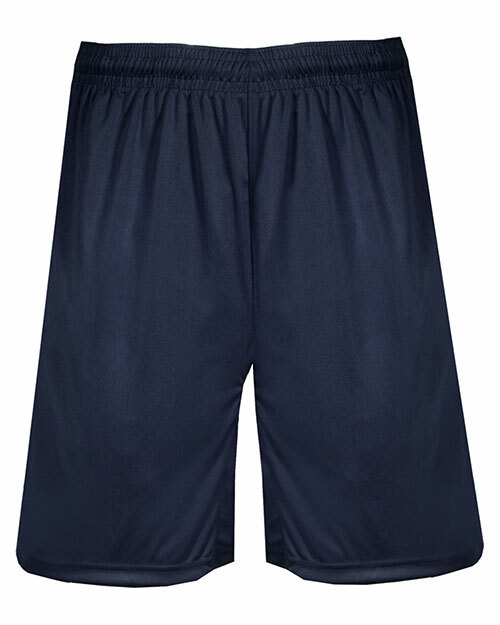 Lets move to enjoy this summer and playing the sports by wearing most comfortable shorts on very low price so get this new sport-tek youth dry zone colorblock short and save up to 17% with gotapparel.com. Youth Dry Zone Colorblock Short available in 5 colors and size are XS to XL so you could get the proper short fit to your body in your favorite colors. For a teams and players it’s essential to get the most proper fit shorts for good performance. which could get only by Sporty colorblocking shorts? Its full athletic cut allows for easy movement, whether you’re relaxing or setting up your next shot. It contains 100% polyester moisture-wicking odor fighting triple-stitched elastic waistband with continuous loop drawcord 9-inch inseam double-stitched hem for high quality performance. Men’s board shorts are very adaptable, made for the beaches, but the latest styles allow men to use as a part of daily life. Men’s shorts were invented when the sport of surfing progressed into the sizzling craze during the 1970’s. Styles range from checkered to geometrical shapes to Hawaiian flowers, but the most accepted trend at the moment which goes for approximately all clothing today is the 1980’s flashback style. The most fashionable Men’s board shorts at the moment are those hot, vibrant, neon pinks and greens. Great variety of board shorts from famous American brand names such as Champion, Fruit of the Loom, Jerzees, Gildan, and others at GotApparel.com. Men’s board short shorts are presented in a huge range of designs, sizes, colors and styles at wholesale prices. Browse and shop your most wanted choice of men’s and boys board short shorts. Board shorts are the latest trend that is used amongst teenagers. Mostly peoples specially mens that have a preference of wearing it during summer activities to spend whole day in easy way. This is one of the exceptional piece of clothing that can be worn by both mens & womens. It is very accepted among youth due to its fitness quality. Since board shorts are composed in loose materials that is allows better choice of movement when compared to classic swimsuit. From a very long time, many surfers and water sport fan were only wearing this type of swimwear but these days people wear it at home also because they experience very comfortable and easy. Board shorts are normally made up of polyester material. One benefit of board shorts is it can dry very rapidly. There was a time when this sort of shorts was worn extremely for sports reason. But these days it is worn around the house or an excursion to the local ball game.